I wear a ridiculous amount of bracelets. I have bracelets for every outfit and every occasion. But, for some reason, I never seem to have enough black and gold for the arm parties I frequently throw. 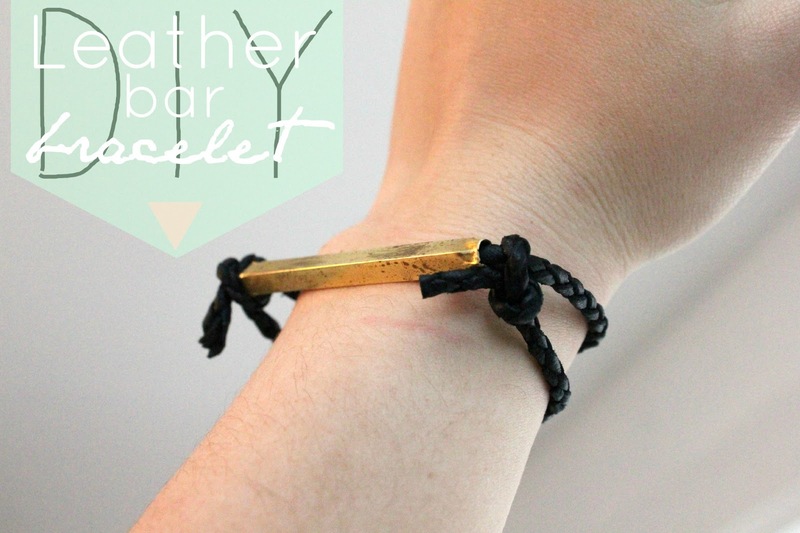 I needed something quick and versatile so I threw this little baby together using a brass tube from the hardware store and some braided leather... and nothing else! 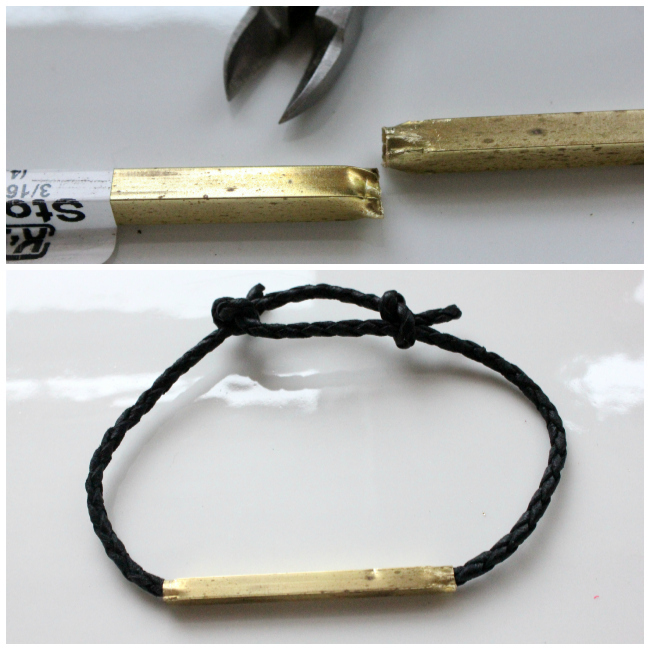 Supplies: Braided Leather Cord - 16 inches, 3/16 Brass Square Tube - 2 1/4 inches, Wire Cutters and Pliers. I wanted it to look unique, so I cut the tube longer than you normally would for something setting on your wrist. You can use wire cutters to cute the tube. It gives the end a pinched off look. Just open it back up with some pliers. Pinch off the opposite end as well to make sure they both have the same affect. Slide the tube on the leather cord, then tie the ends of the cord to the opposite side of the cord, so you get a sliding knot affect. 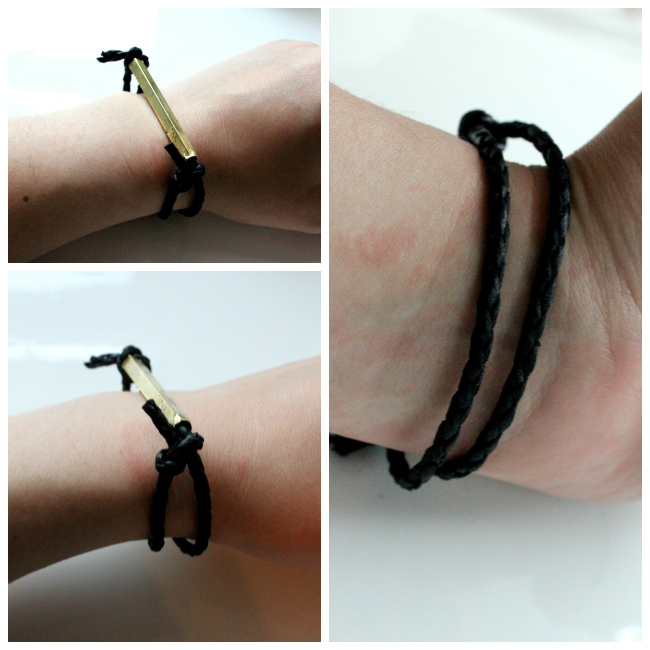 The knots should be able to slide to the ends of the tube, giving the image of a double corded bracelet. Ta-da! It's done! I love the industrial look of this. It's such a contrast to the feminine clothing I wear. 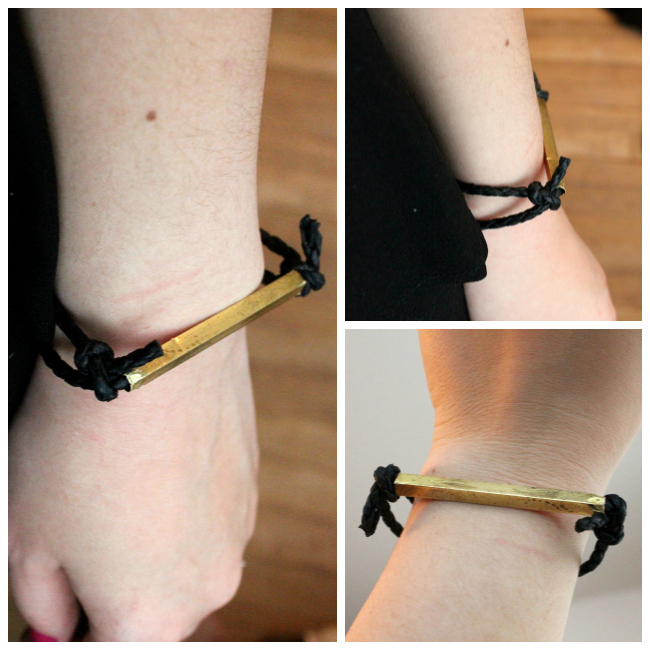 I love wearing bracelets too! this is so stylish and simple, I just love it. Super easy and classy looking.